I have stayed at Saint Vincent's three years in a row, and I am looking forward to my return next month. The location is perfect, the facilities very, very comfortable, and the staff most helpful and friendly. My seminarians and other students speak highly of it. Finally I see a new renovated web site. I stayed in the Guest House with two groups of twenty people in the last two years and greatly appreciated the warm hospitality offered. The overall service is excellent and the staff is courteous, friendly and helpful and has worked to accommodate every our needs. Let me make a great thank you to all the staff who made our stay a memorable one. The Guest House is the ideal base to visit Bethlehem and the surroundings. It is modern, clean, quiet and just few minutes from Bethlehem city center which can be reached via a pleasant walk through the souk and the old town. 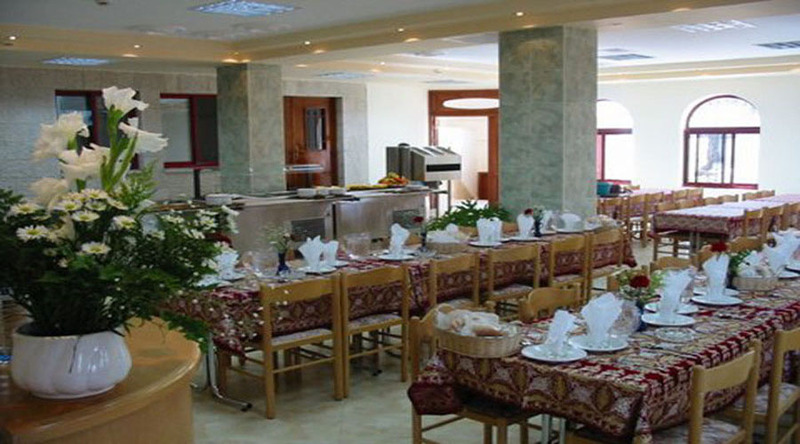 I strongly recommend this fantastic hotel as a perfect stay during your visit to the Holy Land. I have used St Vincent's Guest House for our annual pilgrimage to the Holy Land for the past three years. The accommodation is modern and spotless; the welcome is warm and genuine; the service is excellent and exceptional and the food is plentiful, healthy and delicious. I cannot recommend this place enough. It also fulfils a second function; besides providing accommodation to pilgrims it also helps to finance the running of The Holy Family Creche (orphanage) next door. I would highly recommend this place to your operators and guides to the Holy Land. St Vincent's is located near the Bethlehem University in a quiet part of the town, easily accessible for coaches and within walking distance to the market places for pilgrims.